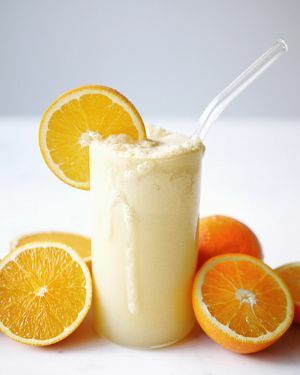 This simple, healthy spin on the classic Orange Julius will take you back to your mall-rat days of high school — at least that’s what it did for me! Oh, the hours we would spend at Cap Mall in North Van. 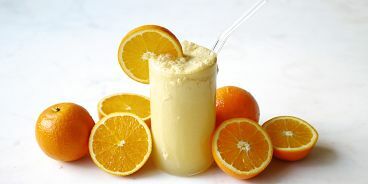 An Orange Julius was one of my go-tos from the food court. The original recipe is filled with sugar. This version contains much less, and includes the option of adding in a few superfood ingredients, like hemp or maca powder (which do not affect flavour in the slightest). Hope you love it as much as the real thing!